Daredevil season 3 came out this week. The shows follows Matt Murdock after the events of the Defenders left those close to him assuming he was dead. Wilson Fisk returns this season and we finally have Bullseye on the show. The marketing for this season was sensational and I was so hyped for this. Putting it bluntly, Daredevil season 3 is easily the best season of any comic TV show. It may also be one of my favourite seasons of all time. A much needed return to form after the last few seasons of Marvel Netflix that have been put out. After seeing some disappointing action in the other shows, I’m so glad that this season brought the action back to the level I expect from these shows. Pretty much every single action sequence is wonderfully shot and has great fight choreography. The one take action sequence in the prison might just be my favourite the show has ever put out. Yes, I liked it more than the hallway fight scene. All of the confrontations between Daredevil and Bullseye also are extremely interesting and intense. The two are evenly matched and that increased the stakes of these fights. The three way final fight scene is also wild and unpredictable. I did not see the outcomes coming. And that’s another aspect of this season that I loved. It is genuinely unpredictable. I did not see a lot of the twists coming. The show managed to be emotionally satisfying and have several unpredictable twists that added to the story and engagement levels of the show. One of the twists that stood out to me was the Sister Maggie one. I won’t spoil it, but it made sense and was quite emotional. They also wrapped up this arc in a satisfying way. I enjoyed the interactions between this character and Matt a lot. If you’ve read the comics, you know exactly what this twist is and I’m a little surprised that they made it a big reveal late in the season. However, not everyone has read the comics and if you haven’t, this reveal will satisfy you. Even though the action is one of the best parts about Daredevil, I love the show most when it’s just characters interacting and growing. Some of the interactions this season were fantastic. I loved a lot of the scenes between Dex(Bullseye) and his therapist. They helped in developing his character and the fact that he needs to constantly be close to someone to stay in control. My favourite interaction was hands down the scene between Karen and character X in episode 8. I’m not going to spoil who this character is. Let’s just say that Deborah Ann Woll nails this scene and makes it one of the highlights of the season. This is also her best season as an actress and it was Karen’s best as a character. I loved how they showed her struggle with Matt’s “death” in the Defenders. Her drive as a reporter and investigator has never been as well captured as it was this season. We also see a flashback that is about 30 min long in episode 10. It is extremely heartbreaking and Woll puts in an incredible performance. Everyone else is also as great as you would expect them to be. Vincent D’Onofrio is as great as always as Fisk. The depth and complexity of that character always attracts me to him and we got to see a whole new side to him this season. Furthermore, Vanessa is yet again used brilliantly to humanise the character. This was even more important this season considering the amount of horrifying things the character does. Charlie Cox is also great as Daredevil. I genuinely believe he is one of, if not the best comic book casting of all time. Matt had an extremely complex arc where he questions whether the devil is his more dominant alter ego or Matt. The inner conflict was captured really well. He also has this debate over whether God is all good and seeing a religious character conflicted over his beliefs is something that stood out to me. Foggy is awesome but you already knew that. One of the reasons I love Fisk so much is that he is everything a good antagonist should be. He is an extremely well-written and layered character who challenges the beliefs and actions of our protagonist. Throughout the season, Matt is struggling over whether he should kill Fisk and go against his no killing rule. The new additions were also written very well. I loved the writing for Dex as a character. Like every other Marvel show, the new villain gets a backstory episode in episode 5. I loved this one in particular because it portrayed Dex as such a complex and unique character. I loved how well he was fleshed out and cannot wait to see more of Bullseye in the next few seasons. Agent Nadeem is also a new addition who helped in developing the Fisk-FBI plot. What I liked most about this character in his family and their interactions. As an Indian who lived abroad, I appreciated the touch of them slipping from Hindi to English mid-conversation. It developed a sense of realism. 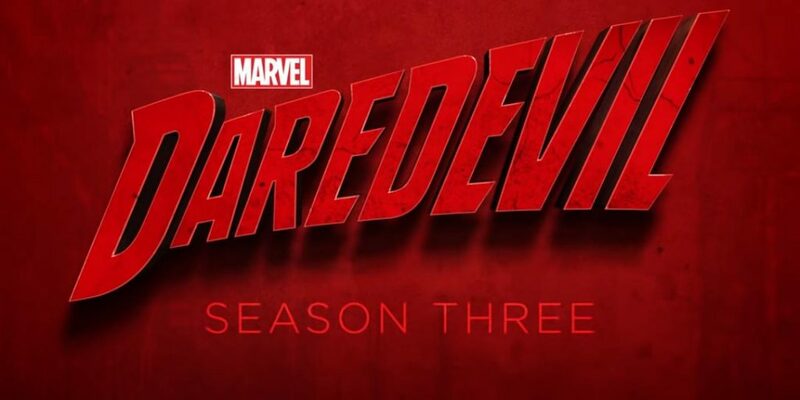 Overall, Daredevil season 3 lived up to all my expectations and has great writing, fleshed out characters, brilliant antagonists and stunning action sequences. It is easily the best season from Marvel Netflix and comic book tv. Moreover, it is one of my favourite seasons of all time for any show. I’m going to give it an A+. Great Review! I personally loved the FBI – Fisk plot even though I HATE the weird bandage costume.